If you want to make a difference in conservation – make it personal! I must admit I spend quite some time on social media – probably as much as the average person. I do try to keep it on a “professional” level, keeping myself updated on birds and conservation efforts rather than on what some old school friend had for dinner (no offence). Working mostly with birds during my 18 years as an animal keeper and nature interpreter in Copenhagen Zoo, I was thrilled when EAZA took the challenge of starting the Silent Forest Campaign. I was even happier that I got to develop and organise the initiatives and activities in the Zoo. One of the great initiatives of the Silent Forest Campaign team comes from Liberec Zoo. 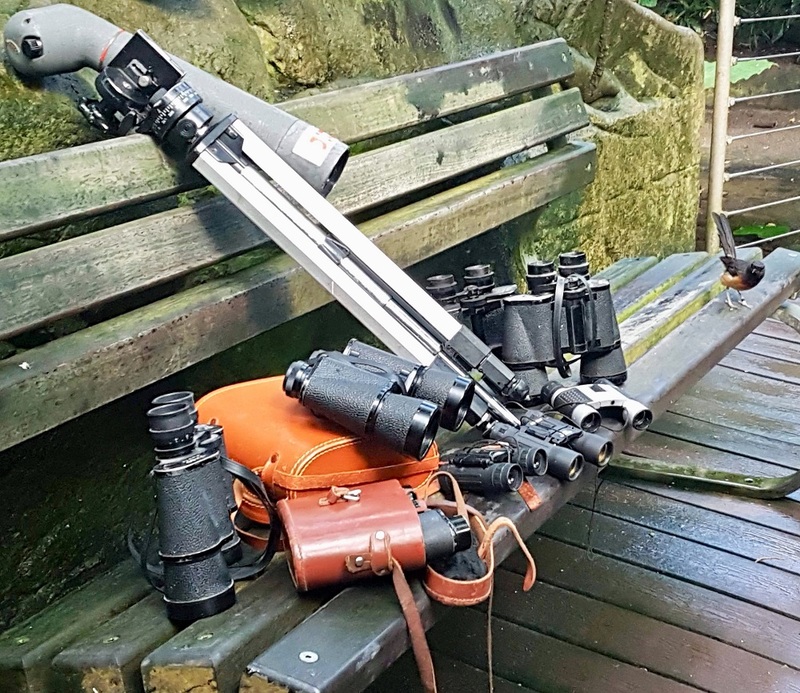 They decided to collect binoculars and send them to Indonesia through Green-books.org which organises bird-watching trips with local families. A really cool idea giving European visitors a thing to act on, instead of the “usual” money donation. Many people have old binoculars at home that they never use. This initiative makes a remote issue -the Asian songbird crisis – more relevant to Europeans and gives them a chance to help! Unfortunately, the lack of space on the Zoo’s social media – between the zoo’s news and commercial activities, we often wish we could publish more about conservation campaigns and educational material – makes it hard to get the message out as much as I would like. So I decided to make it personal and use my own Facebook account to spread the message. It became a personal quest to make it relevant for friends and family to join in and share! I started with “Birds are great! That’s my opinion anyway. 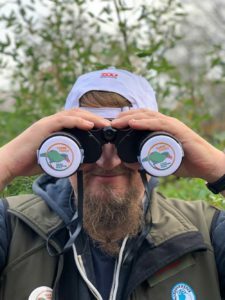 That’s why I’m using some time on the Silent Forest Campaign”, explained what the campaign was about, how to donate binoculars and encourage them to share my posts. I ended the post with my personal thoughts to keep it relevant, saying “even if you think there are bigger problems in the world, a wise colleague of mine says: Nobody can help everywhere, but anyone can do something to help” (I am not sure whether it’s her own saying but I like it very much). The Facebook post got a very good response. It was shared 78 times, received many positive comments, binoculars were donated and people offered their help to transport them from A to B. Colleagues from Aalborg Zoo made their own collection supporting “mine” with 8 binoculars. The local TV station called to make an interview for their website about the collection. We invited people to drop off their binoculars at the Zoo Entrance, advertising at the same time Copenhagen zoo! Soon 20 binoculars were piling up on the desk, as well as 3 spotting telescopes! 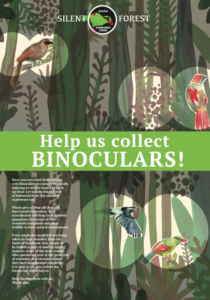 Our great campaign coordinator offered to cover the costs of the binoculars transport to Liberec Zoo. We have just sent a third lot rising the total to 55 collected binoculars! I believe that making the Facebook post personal, giving it my own words and thoughts, made it relevant enough for people on my FB friend-list to share it. They gave it their own comments such as “help my friend”, “help my colleague” or “help this bird freak”, making it relevant for their FB friend-list too. I think my message is: if you want to make a difference – make it personal. Also on social media. The engagement reached by the post of course decreased since its publication but every now and then, some old binoculars appear on my desk. The need for them is still there, so if you got one, let someone know! If you want to start the initiative in your institution too, find all the info here. An astronomical bird clock in Liberec Zoo!